Monster Energy Kawasaki’s Eli Tomac had an absolutely dominant night at Round 7 in Arlington, leading and winning every lap of both his heat race and the main event. 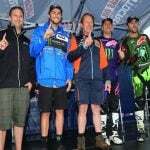 Red Bull KTM’s Marvin Musquin and Rocky Mountain ATV/MC/KTM/WPS’s Blake Baggett rounded out the podium. Ken Roczen sat the night out after having surgery on his hand earlier in the week and Justin Barcia broke his hand as well, after missing a triple and colliding with Tyler Bowers as he was going up and Bowers down. Barcia would sit out the main and will hopefully will return shortly. 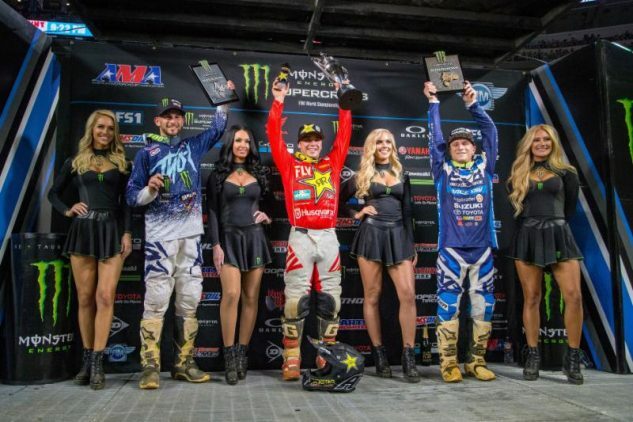 Round 7 also marked the opening round for the 250SX East Championship, where Rockstar Energy Husqvarna Factory Racing’s defending champion Zach Osborne took the top step in an aggressive, come-from-behind effort. The first few laps of the 250 main were pure carnage, starting with a multi-rider crash in the first turn that put a lot of the class’ top competitors either out of the race or in the back of the field. Osborne was joined by Monster Energy/Yamalube/Star/Yamaha Racing’s Colt Nichols and Autotrader/Yoshimura/Suzuki Factory Racing’s Jimmy Decotis, who achieved his first ever Monster Energy Supercross podium. Congrats Jimmy D! 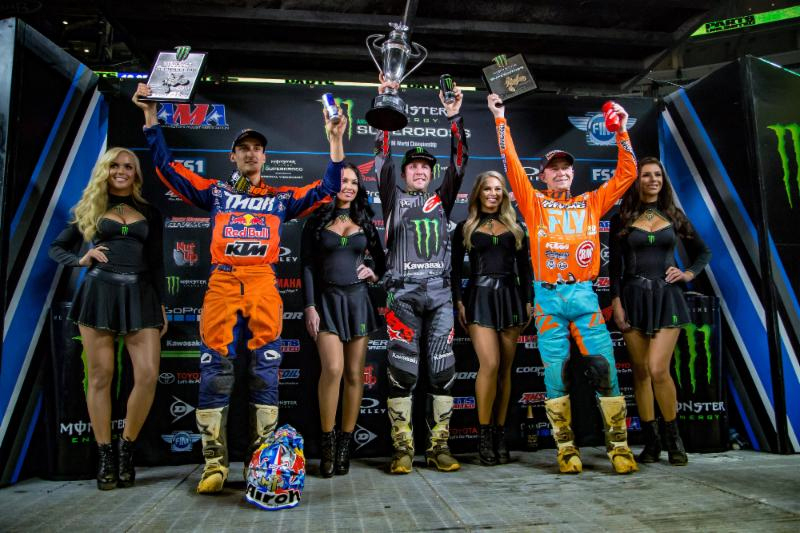 ARLINGTON, TX – February 18, 2018 – In front of a crowd of 57,421 fans inside AT&T Stadium, Monster Energy Supercross, an FIM World Championship, hosted Round 7 of the 2018 season in Arlington, Texas. 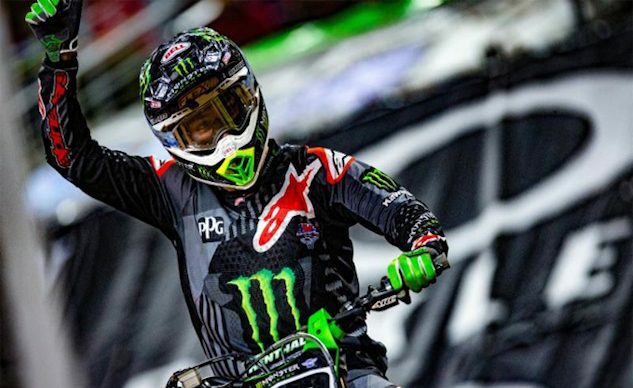 Monster Energy Kawasaki’s Eli Tomac had a perfect night after posting the fastest qualifying time, leading every lap of his Heat Race and all 25-Laps of the 450SX Main Event for his third win of the season. Tomac tops the 450SX Class podium for the third time in 2018 at Round 7 of the Monster Energy Supercross in Arlington, Texas. | Photo Credit: Feld Entertainment, Inc. Team Red Bull KTM Factory Racing’s Marvin Musquin captured his second-straight second-place finish after a third-place start. For the third consecutive week, Rocky Mountain ATV/MC/KTM/WPS Team’s Blake Baggett finished on the podium after a fourth-place start. 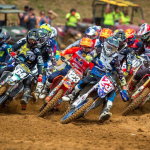 In the season opener of the Eastern Regional 250SX Class championship, Rockstar Energy Husqvarna Factory Racing’s defending champion Zach Osborne worked his way up to third from a fourth-place start before a mistake in a corner dropped him to fifth. Osborne then battled his way back to the front of the pack to lead six laps and claim a come-from-behind victory. Defending champion Zach Osborne set the stage at the season opener of the Eastern Regional 250SX Class Championship with a win over Colt Nichols and Jimmy Decotis. | Photo credit: Feld Entertainment, Inc.
Monster Energy/Yamalube/Star/Yamaha Racing’s Colt Nichols started seventh and fought to a second-place start ahead of Autotrader/Yoshimura/Suzuki Factory Racing’s Jimmy Decotis who rode to a career-best third-place finish after an eighth-place start. GEICO Honda’s RJ Hampshire grabbed the holeshot and lead 13 of the 19 laps but a mistake in the whoops dropped him to fourth. The 2018 Monster Energy Supercross season continues next Saturday, February 24, with Round 8 inside Raymond James Stadium. It will mark the championship’s return to Tampa for the first time since 1998. Watch the action live on FS1 at 7 p.m. ET.